Designed to help you take small steps each day. 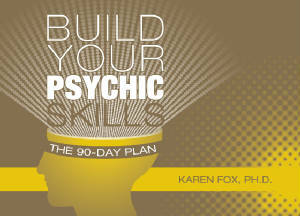 So you can turn your hunches and gut instinct into a stronger intuitive ability. Color-coded cards are organized by day of the week to make practice easy. Each day has a particular focus. It's easy and fun, and you will discover your ESP getting stronger each day!